What Can Provo Learn from Minneapolis? In early September, Provo City traffic engineer Jared Penrod participated in Bike Utah’s second annual Mobile Active Transportation Tour of a bicycle-friendly community out of state. 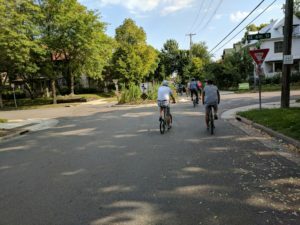 Last year, Provo city councilwoman Kim Santiago and city planner Bill Peperone joined a group that visited Fort Collins and Boulder. This year, Bike Utah about two dozen city and regional officials to Minneapolis, which has over 129 miles of on-street bikeways and 97 miles of off-street bikeways and has been awarded with the Gold Level Bicycle Friendly Community Award from the League of American Bicyclists. 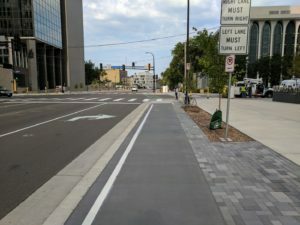 Minneapolis is also the home of the University of Minnesota, which has been recognized as a Platinum Level Bicycle-Friendly Community by the League. Check out these two videos, one serious and one wildly entertaining, but both enlightening. If there is the will, there is a way. 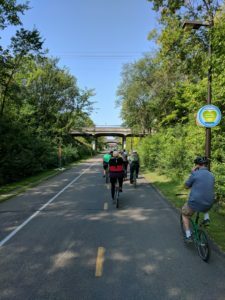 Minneapolis’ mayor and city council have made bicycling as a mode of transportation a priority because they recognize it makes an important contribution to boosting quality of life. 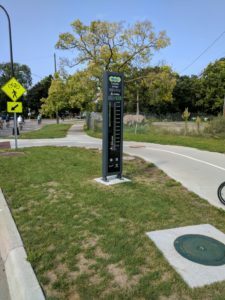 Bicycling can thrive in cities with cold, snowy winters (and one that is much colder and snowier than Provo.) 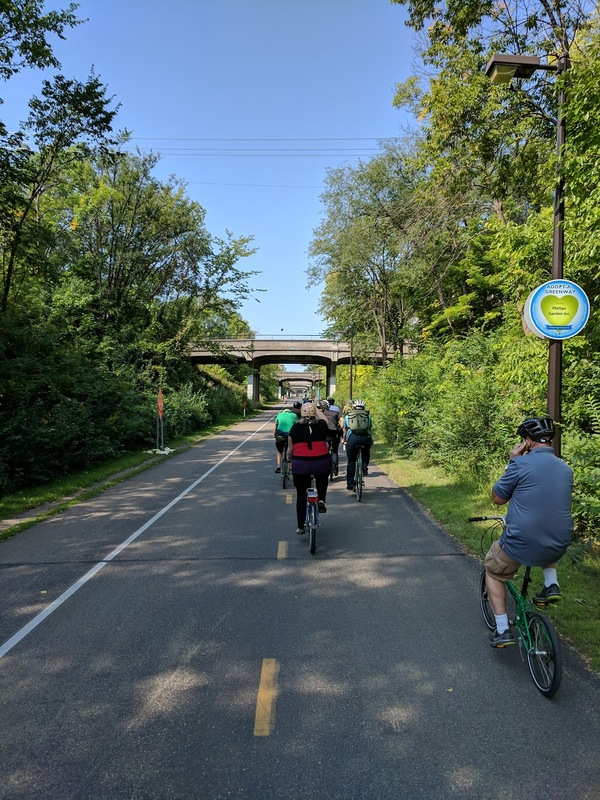 Minneapolis allocates funding to maintain a fleet of snow-removal vehicles that are dedicated to the removal of snow on the city’s vast network of bike lanes and trails. Here are some photos that Jared took on the ride. 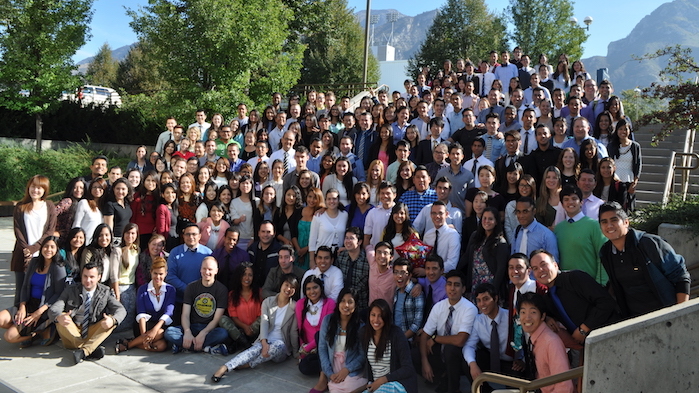 Think about what Provo could learn from these visual examples. A new barrier-protected bike lane above the curb in the downtown area. 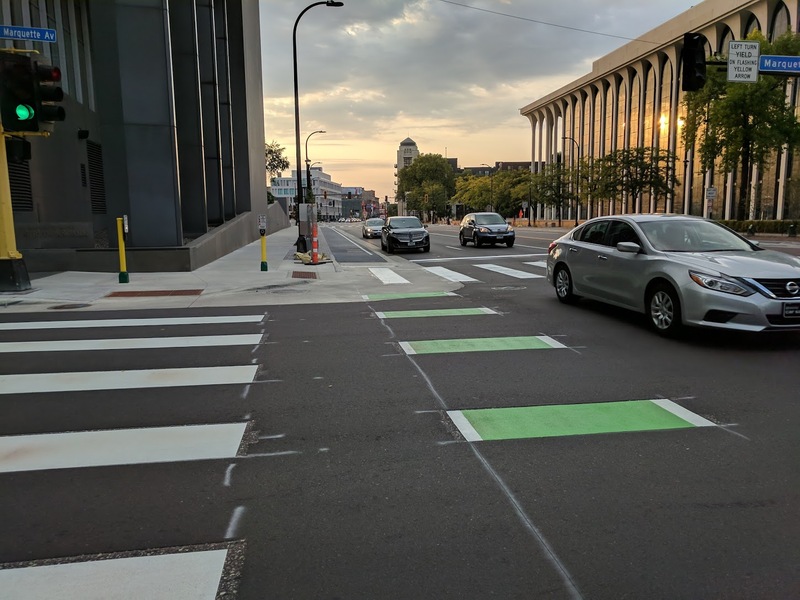 An intersection crossing along the new protected bike lane. 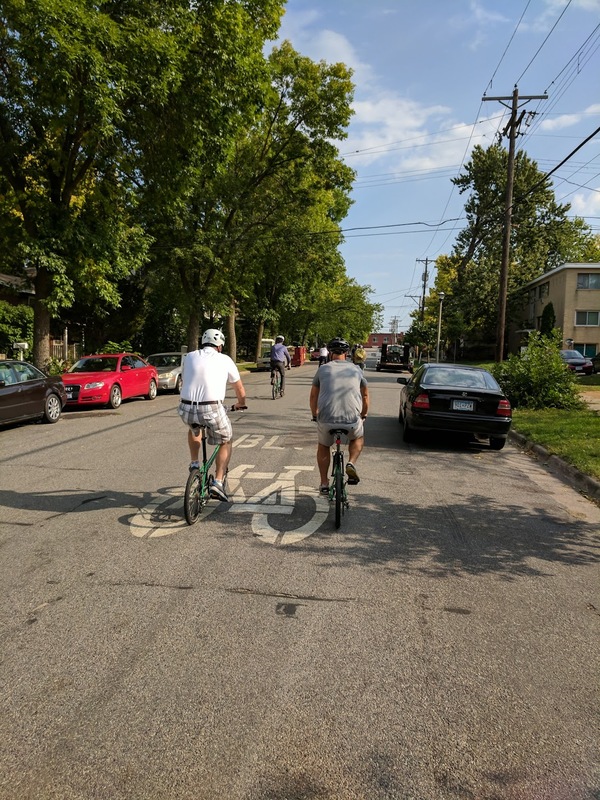 A mini-round-about on a neighborhood bikeway. 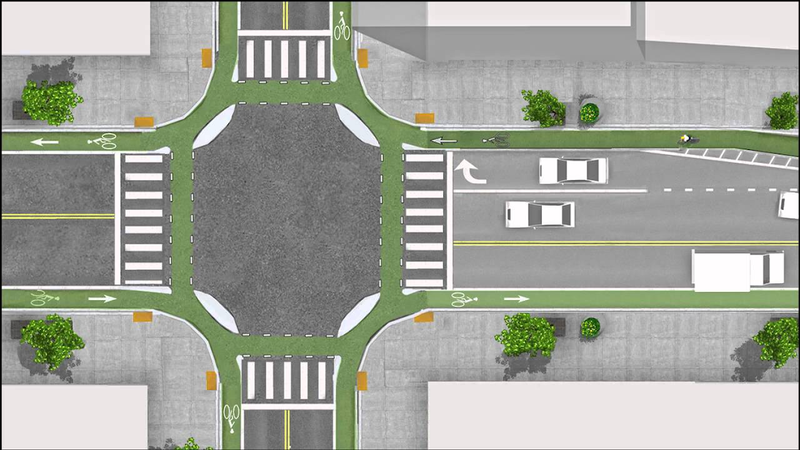 Provo City is planning on installing such a mini-round-about on 200 East, our community’s first neighborhood bikeway. Another photo of the neighborhood bikeway. 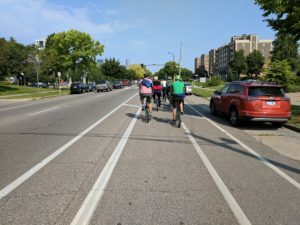 Notice on-street parking is maintained and bicyclists are comfortable taking the lane. A lane leading to campus. 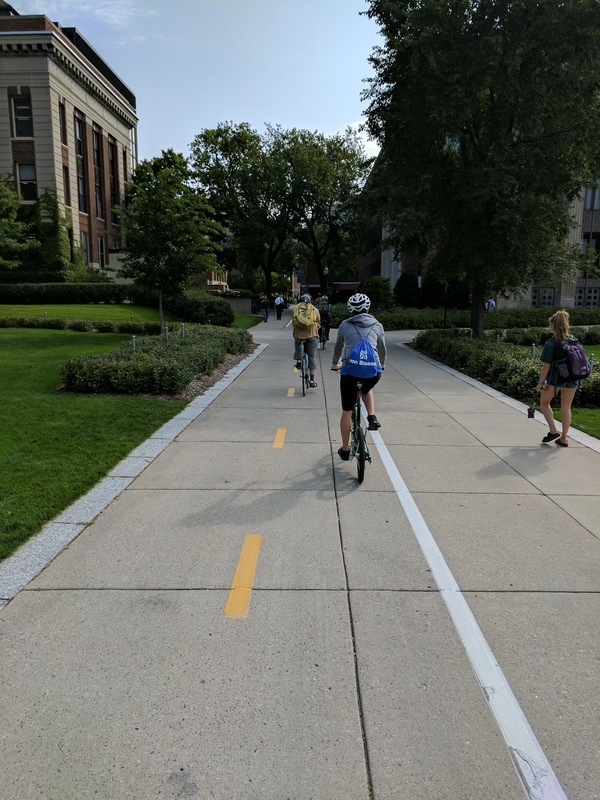 Bike lanes on one side and pedestrian path on the other on the UM campus. BYU is considering striping a path that flows through the Heritage Halls housing area from 900 E to campus like this. A bicycle counter standing along a trail. 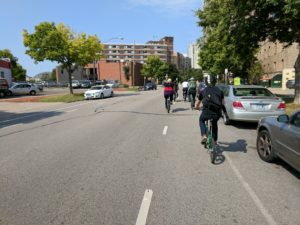 When the group passed that morning, 430 people had already ridden by on bikes that day. 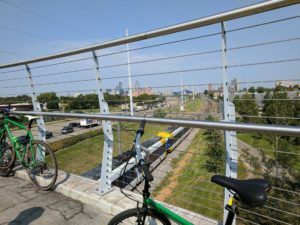 Minneapolis’ skyline in the distance and below one of the city’s trails alongside the railway tracks. 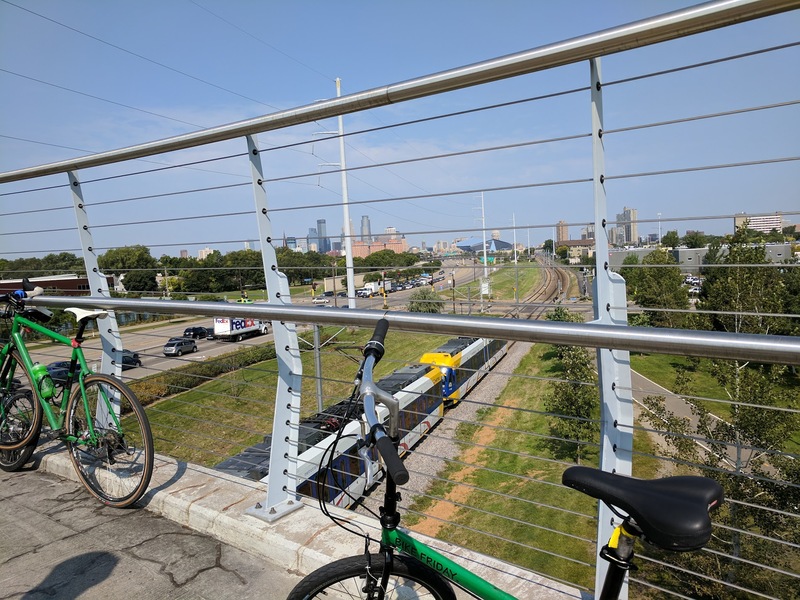 This view is from the cable-suspension Martin Olav Sabo pedestrian and bike bridge, built in 2007, that spans the rail line and a freeway and provides a vital link between the university and the city. A close up of a trail. Trails are used for both commuting and recreation. 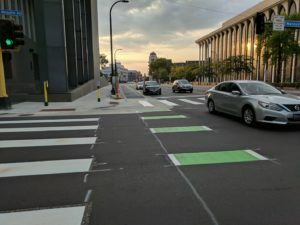 A bike lane, buffered on both sides from moving cars on the left and car doors on the right. 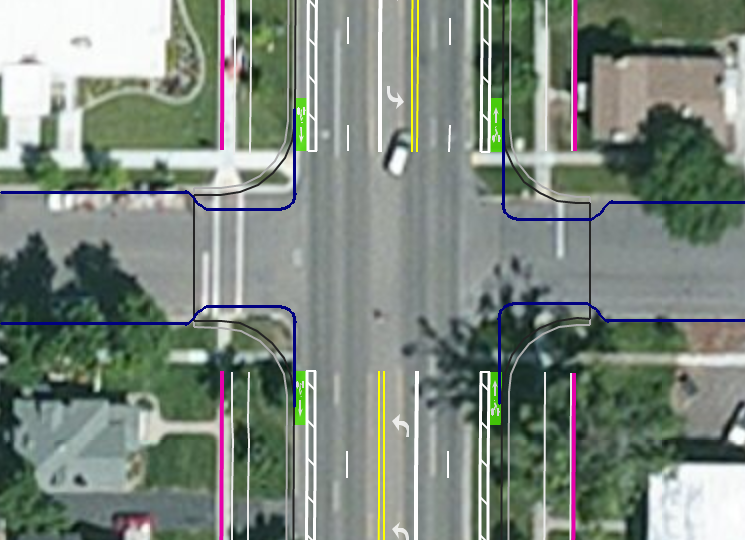 An interesting design: bike lanes of a sort, no center line and not a lot of width for cars going opposite direction. Now that will lead to traffic calming. 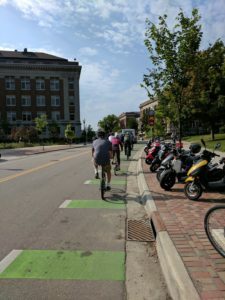 Thanks to Jared for participating in the MATT and for sharing with us how Provo can become even more bicycle friendly. 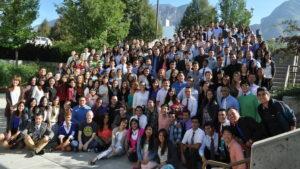 “Provo Bicycle Collective is proud to announce newly-formed partnerships with Deseret Industries, LDS Employment Center, and BYU English Language Center through which we hope to provide dozens of free bikes to people in need each year. 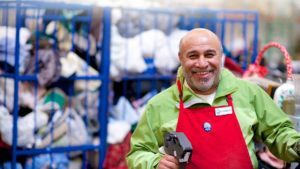 Our partnership allows Deseret Industries to recommend their associates and welfare clients to our shop for a free Goodwill Bike – donated bicycles refurbished by PBC volunteers. In 2016, Bicycle Collective gave away 1,436 Goodwill Bikes. teaching, learning, and research of English as a second language. 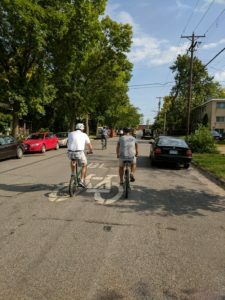 Our hope is that their clients will use these bikes to meet daily transportation needs; riding to work, shopping for groceries, and meeting appointments. 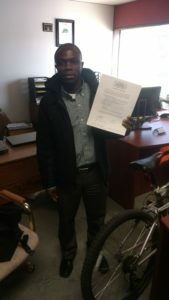 “Provo Bicycle Collective is proud to announce a newly-formed partnership with Utah Community and Refugee Partnership Center (UCRPC), through which we hope to provide dozens of free bikes to refugees each year. UCRPC is non-profit organization that is devoted to motivate, empower, enlighten and transform refugees’ life through education. Their mission is to provide the education, orientation and support refugees need to become self-sufficient members of society. Our partnership allows UCRCP to recommend their clients to our shop for a free Goodwill Bike – donated bicycles refurbished by PBC volunteers. 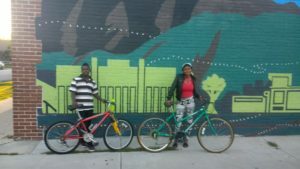 In 2016, Bicycle Collective gave away 1,436 Goodwill Bikes.